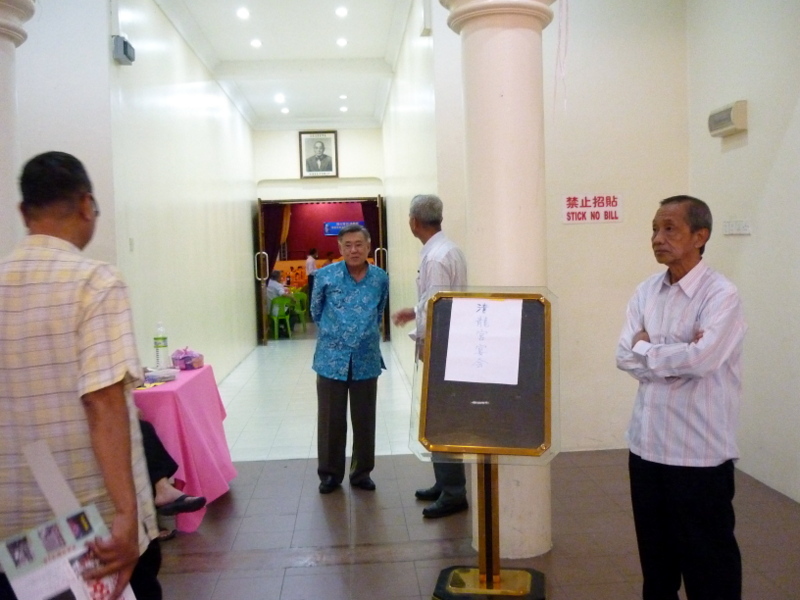 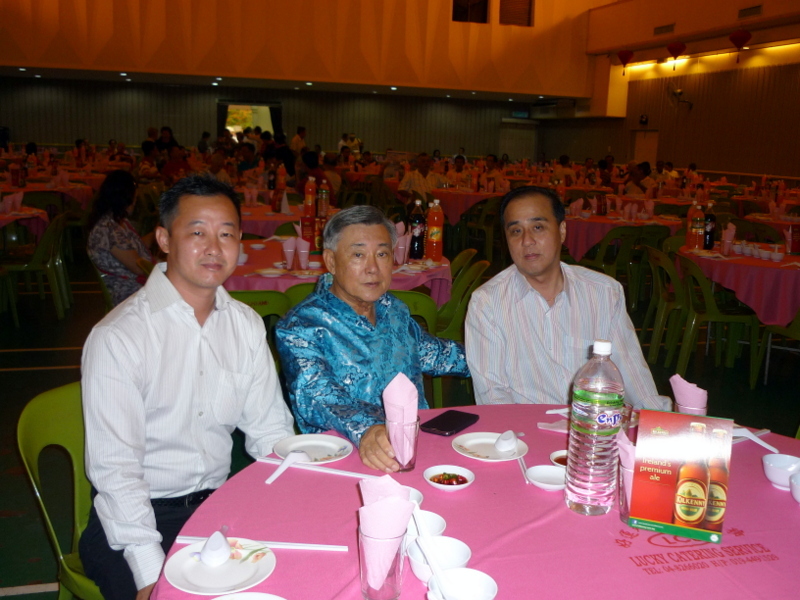 The Celebration Committee of Cheng Leong Keong held a dinner at Lim Lean Teng Hall in Han Chiang High School on Monday 29th April 2013 in honour of Tai Tay Yah’s Birthday. 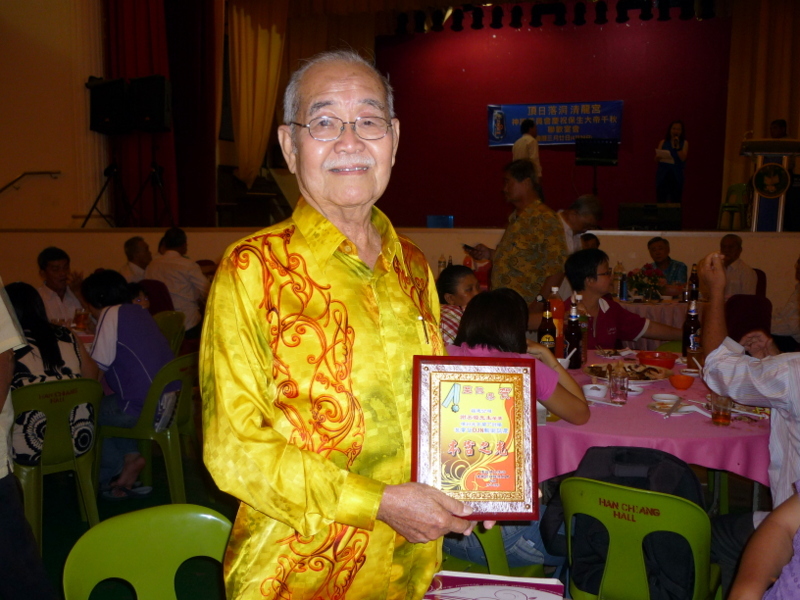 During the dinner, members who have received awards from Tuan Yang Terutama Pulau Pinang (Governor of Penang) were given plaques. 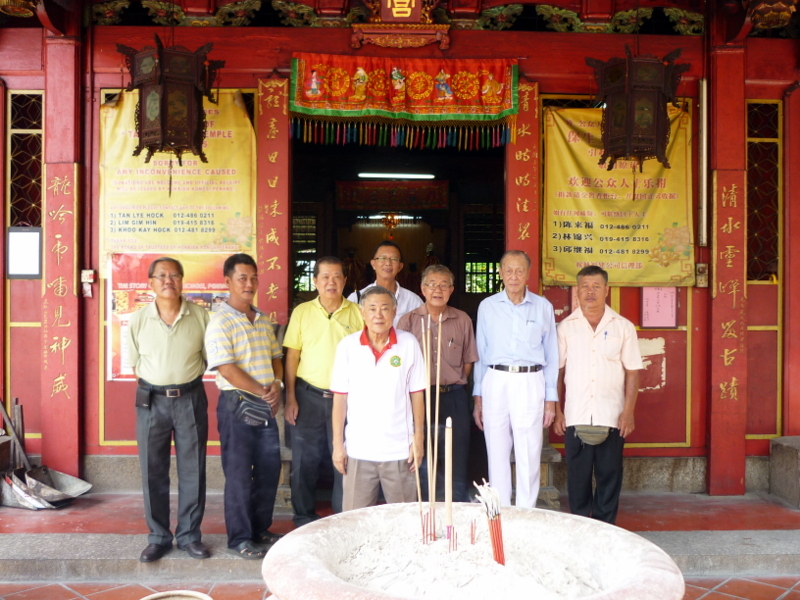 The Chairman of the Celebration Committee, Mr. Ch’ng Kim Hock presented a cheque for Rm20,000/- to Khoo Kay Hock, Chairman of Hokkien Kongsi, Penang towards renovation costs for Cheng Leong Keong. 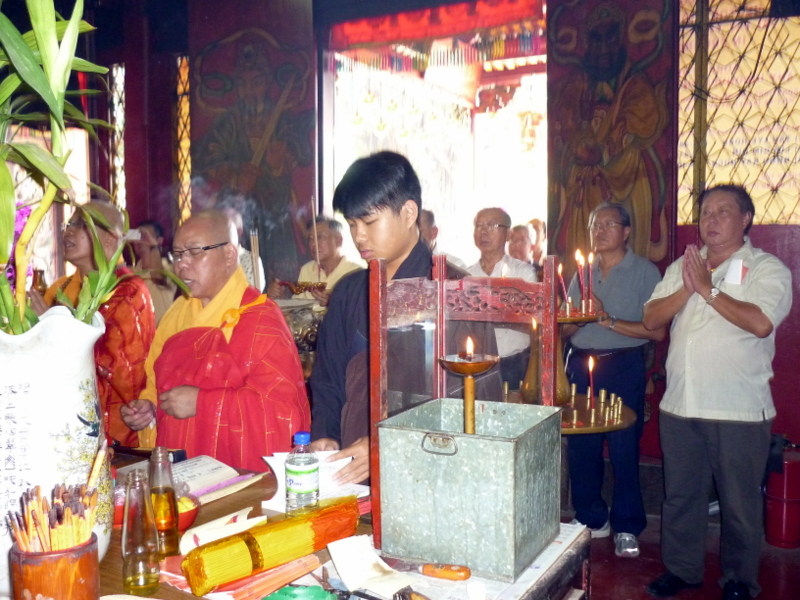 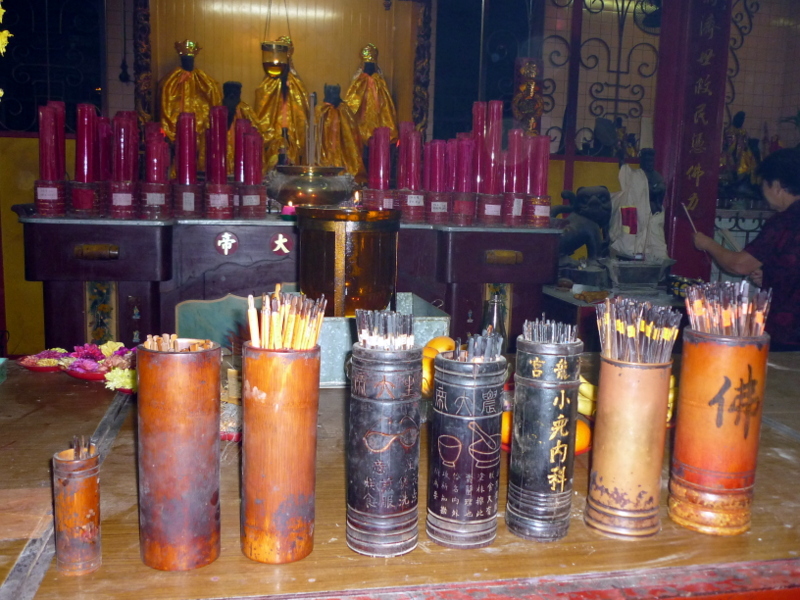 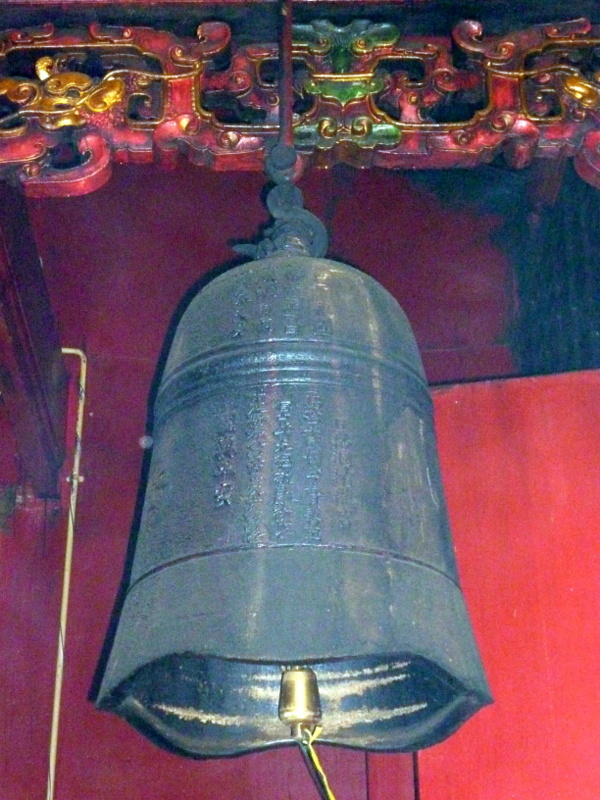 Major renovation work will be carried out in the near future to replace the beams of the temple, which in turn will affect the roof structure. 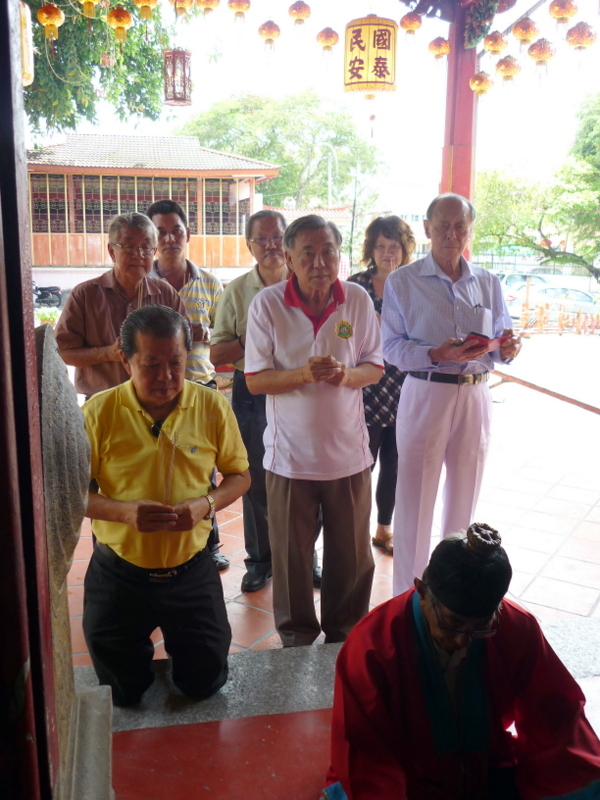 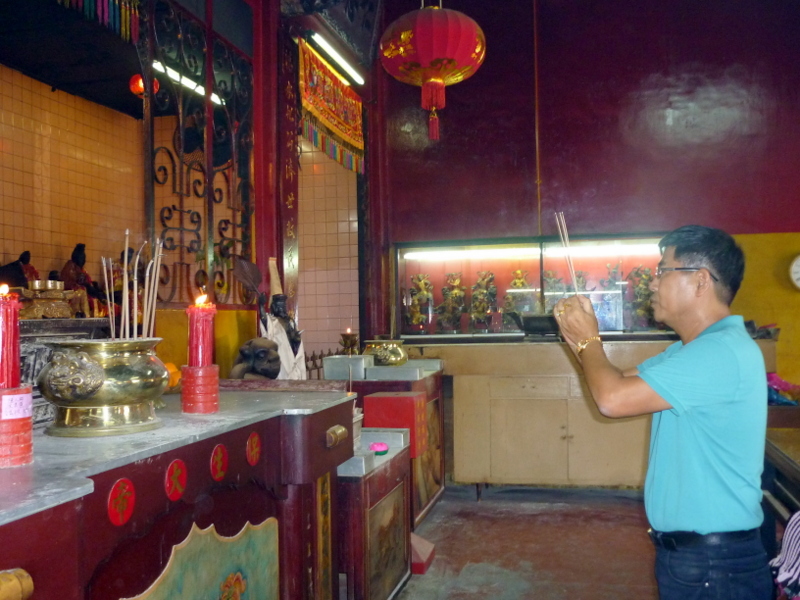 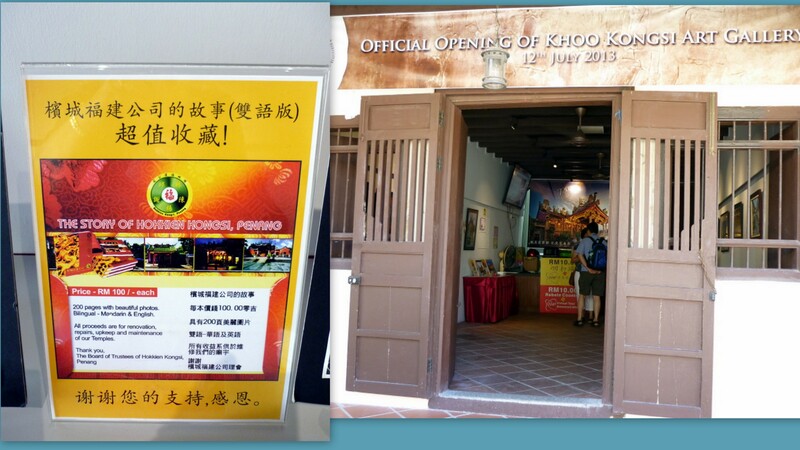 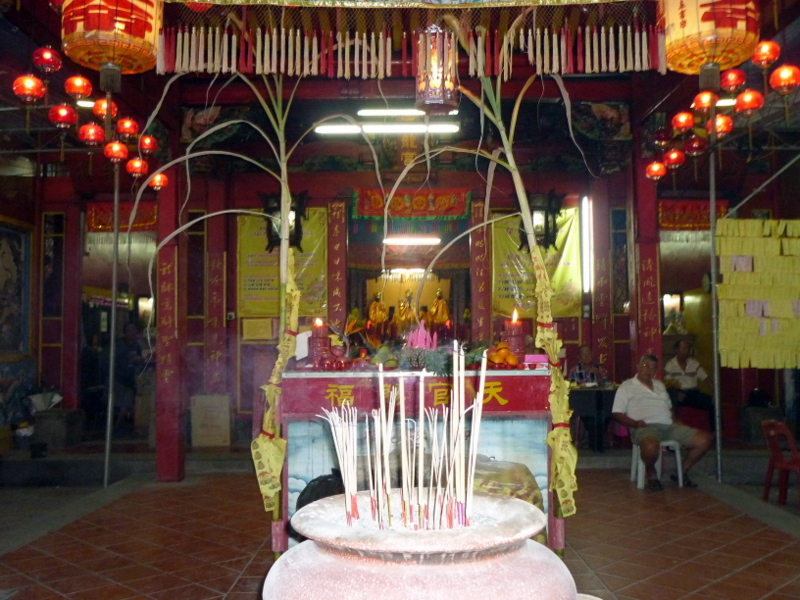 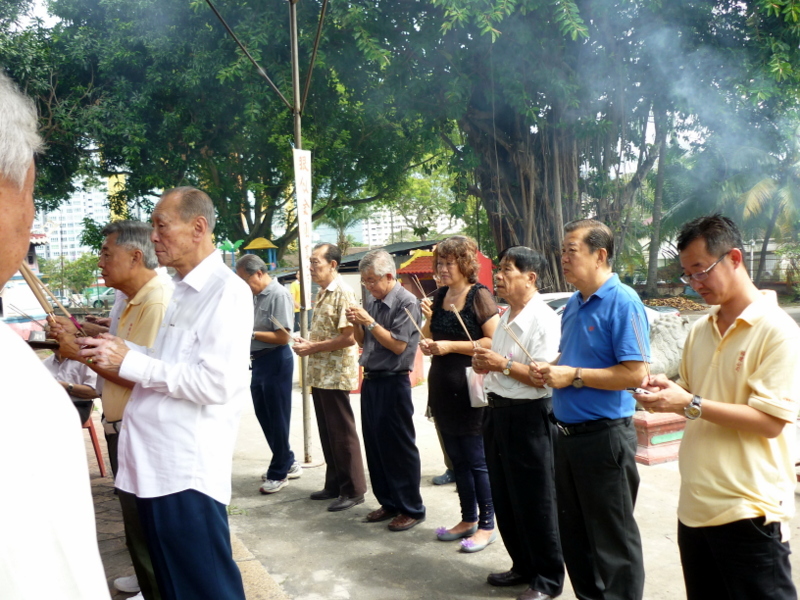 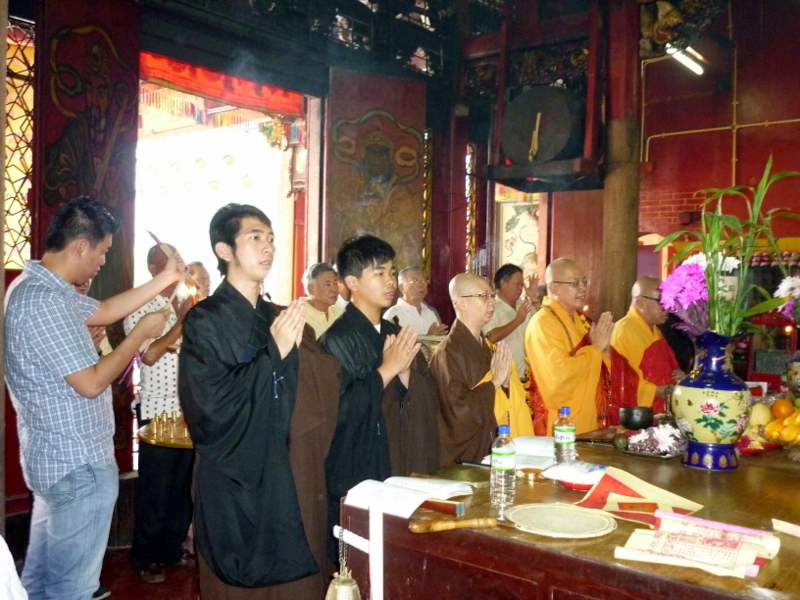 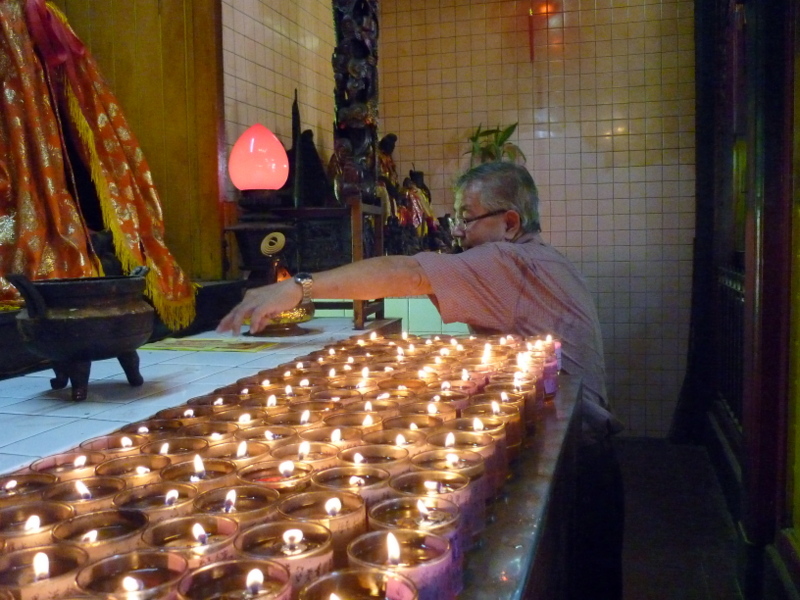 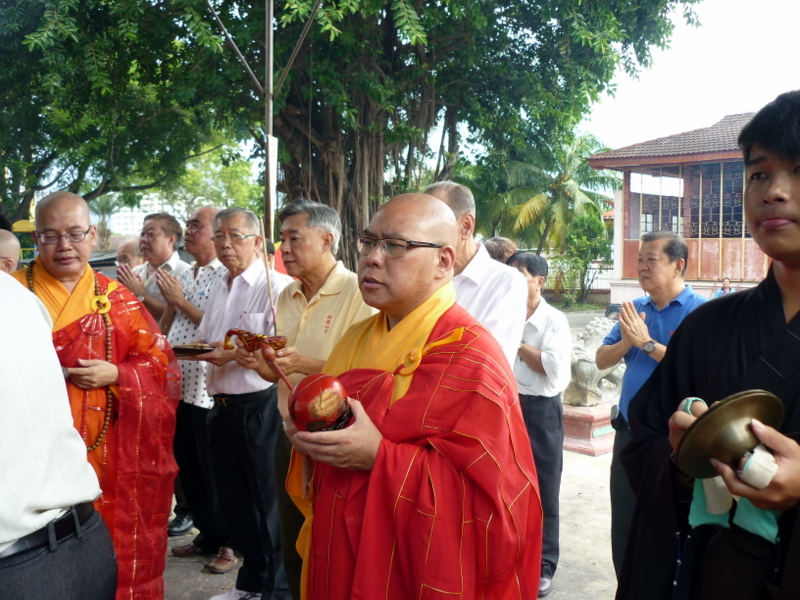 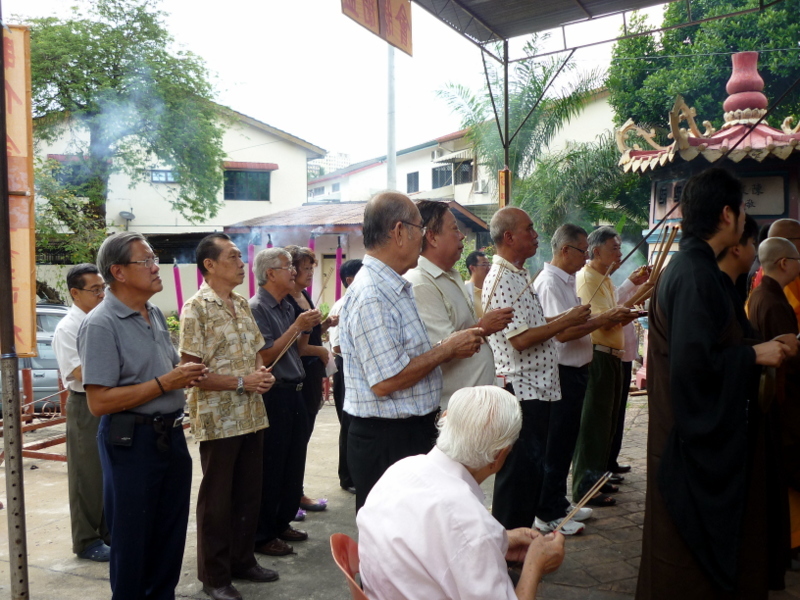 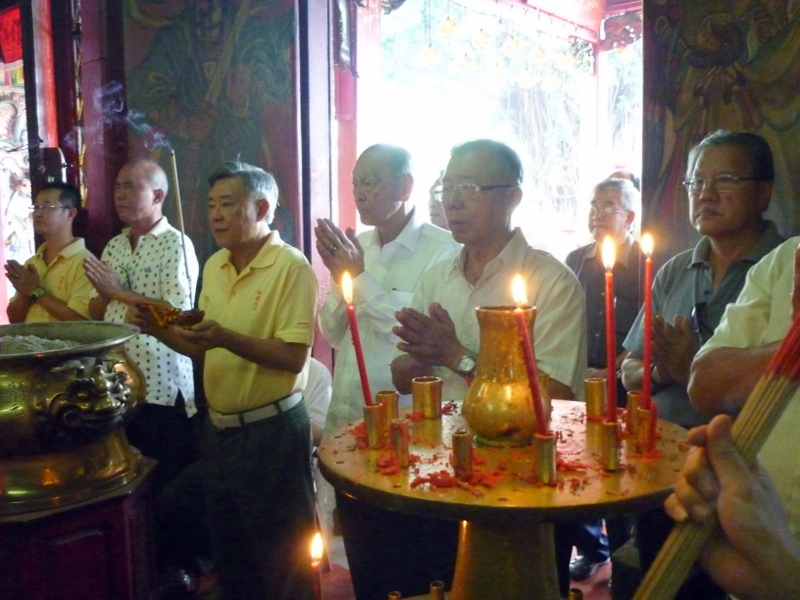 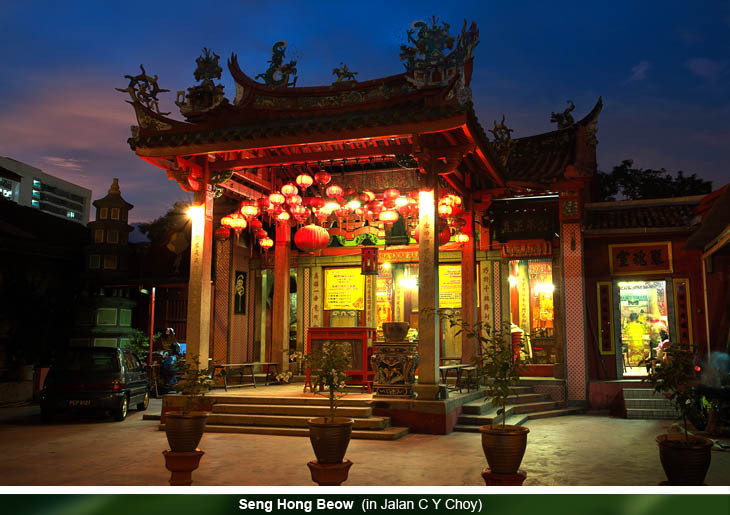 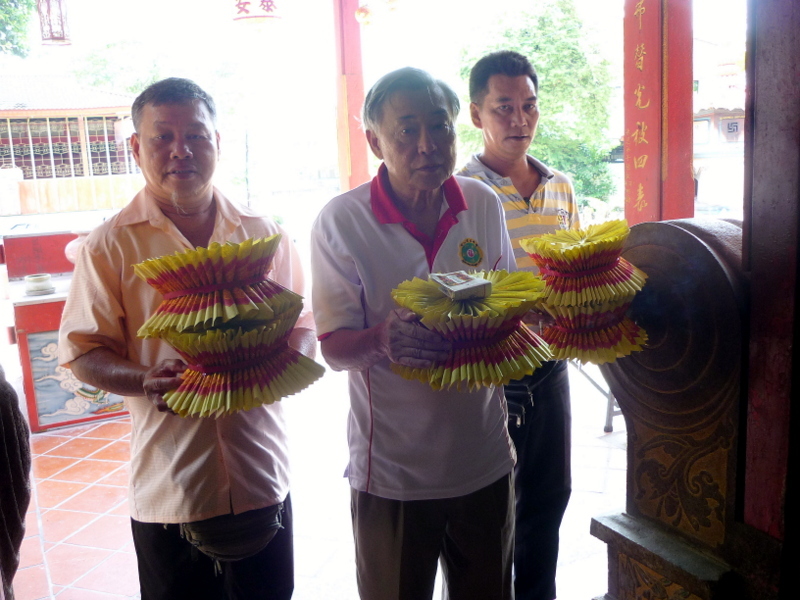 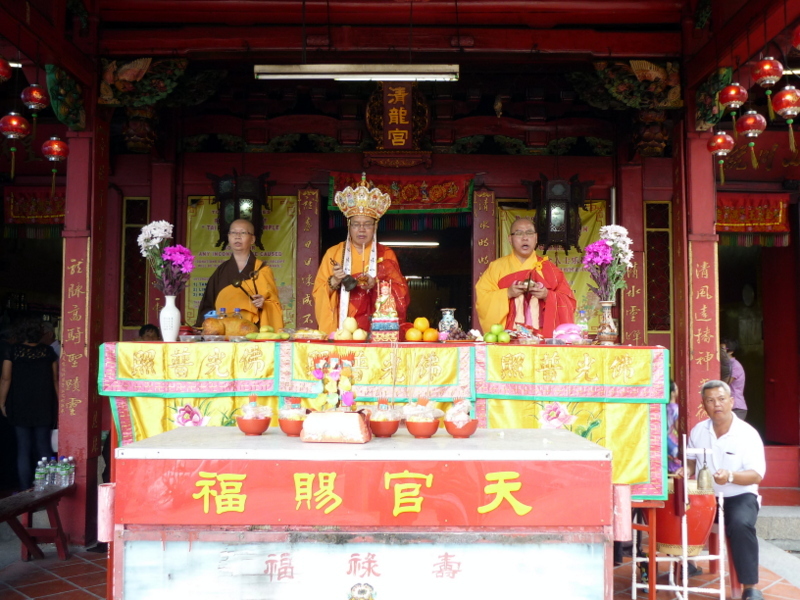 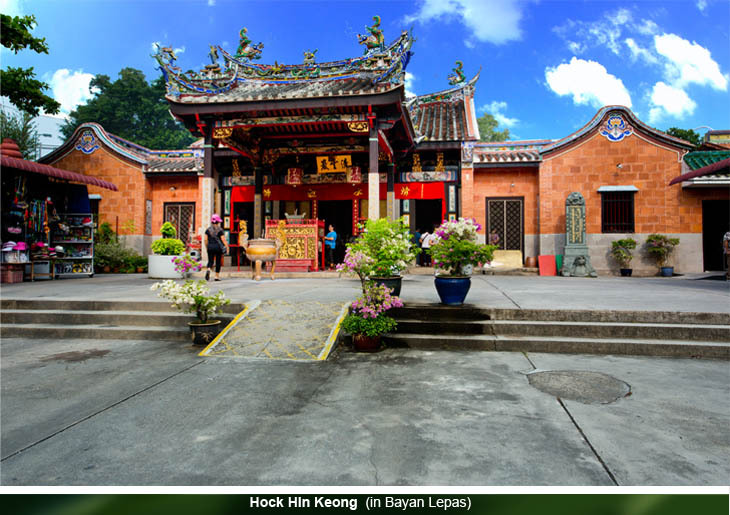 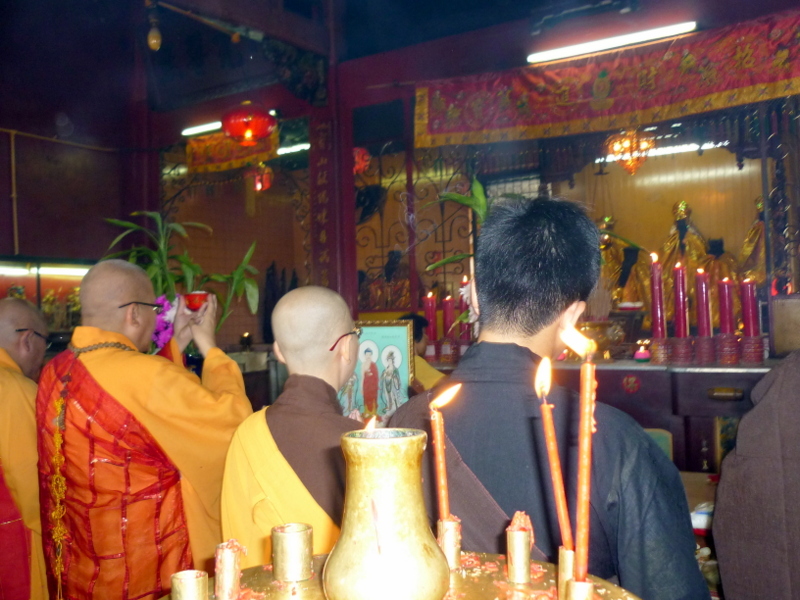 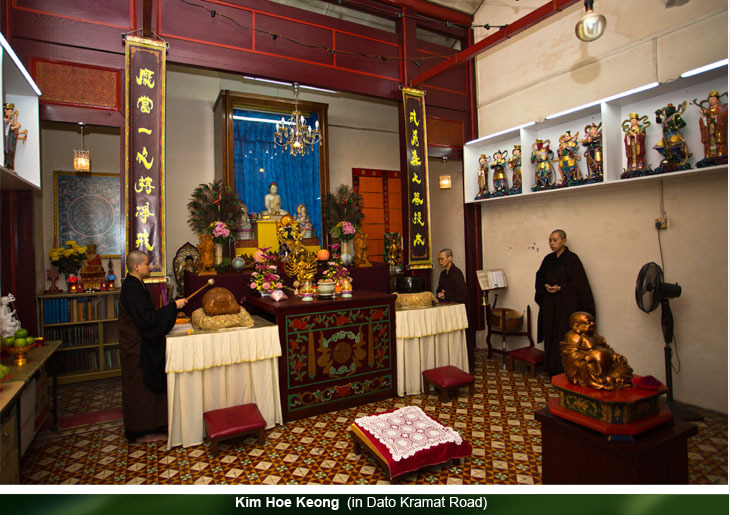 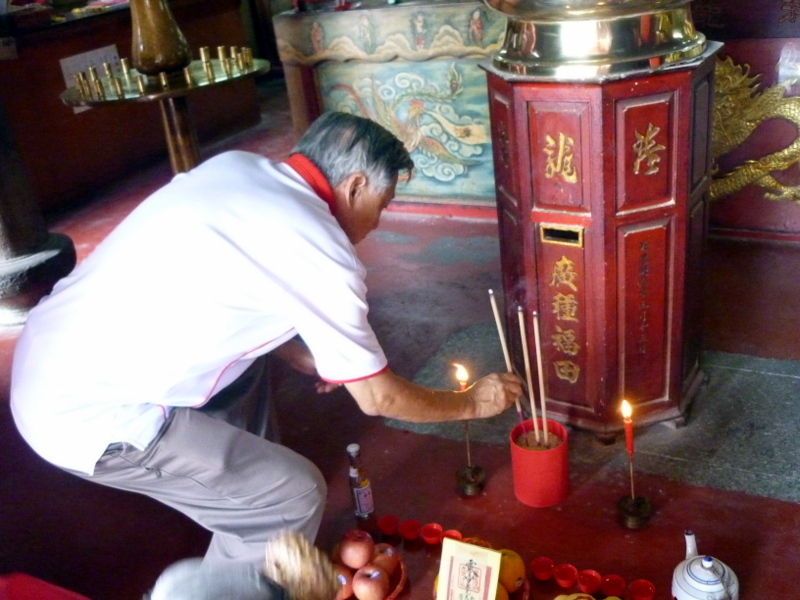 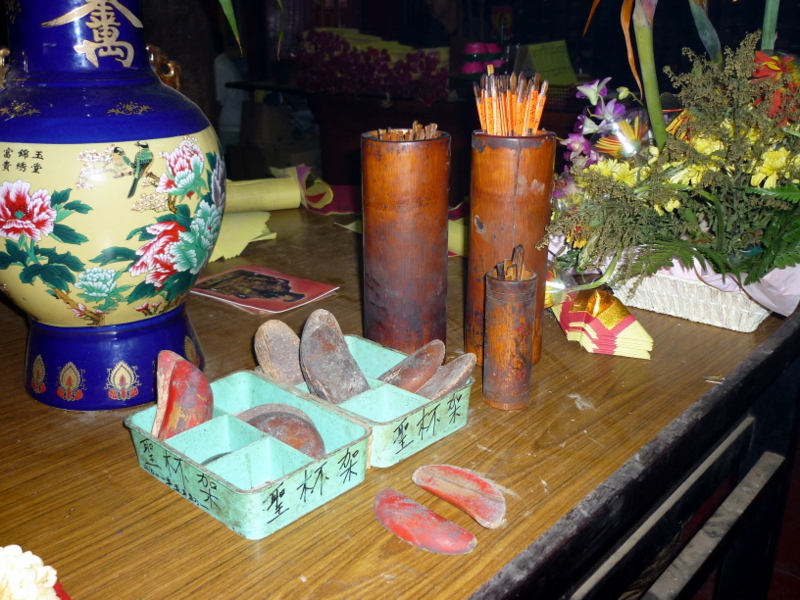 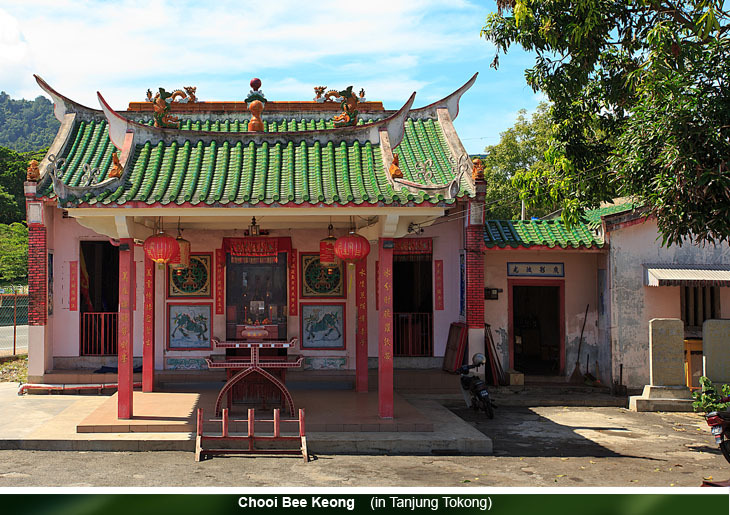 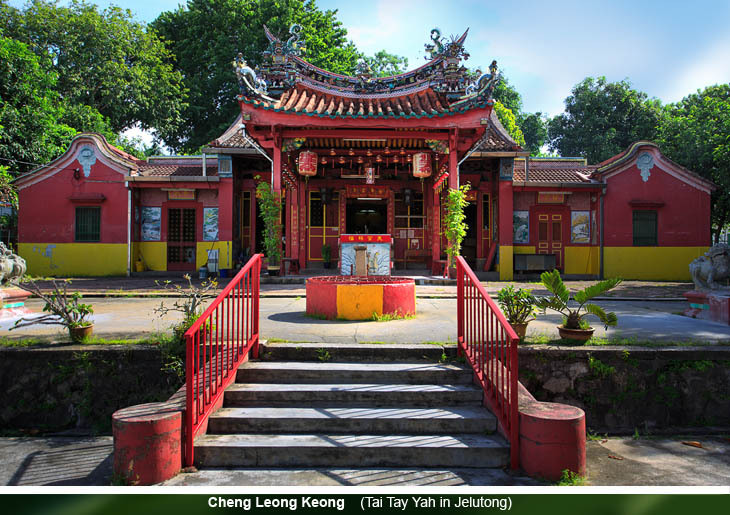 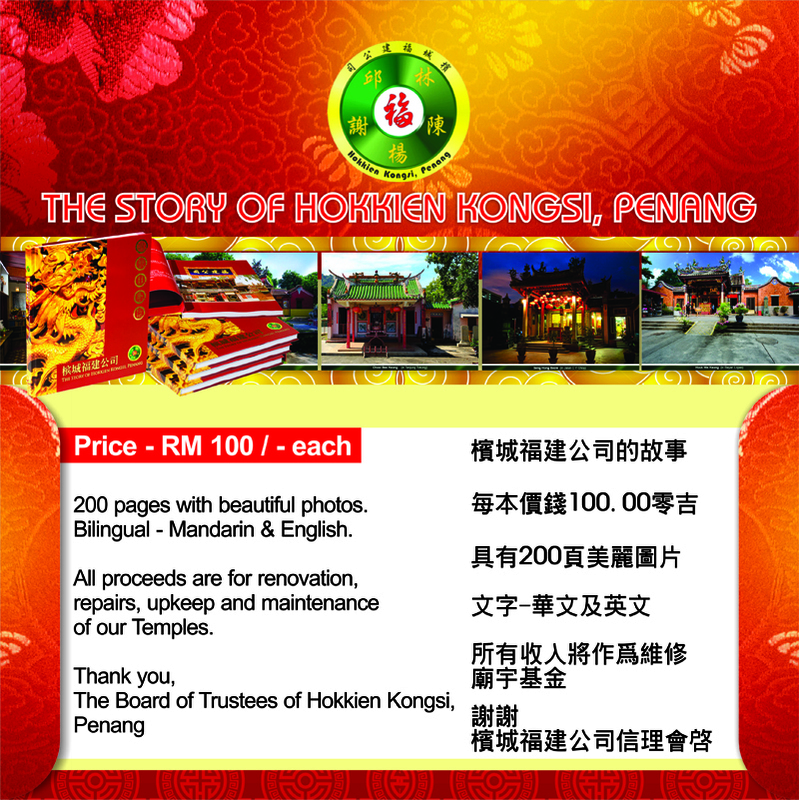 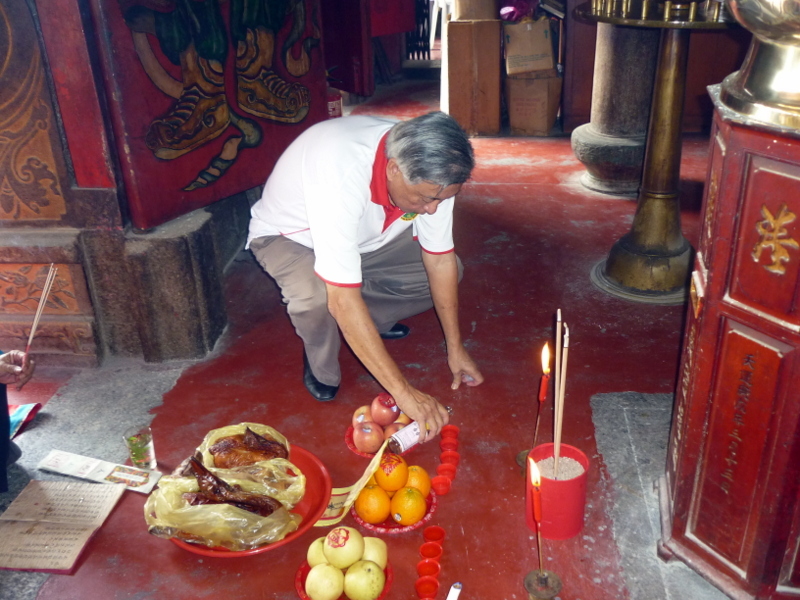 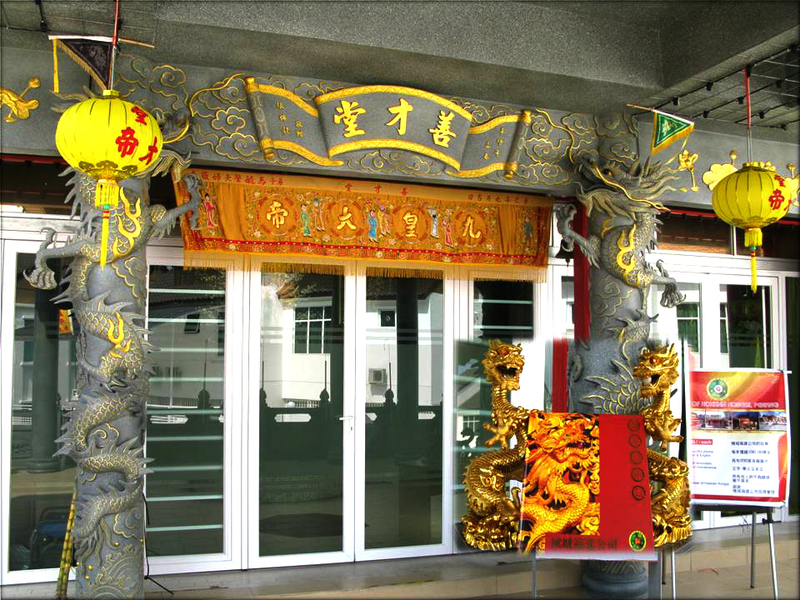 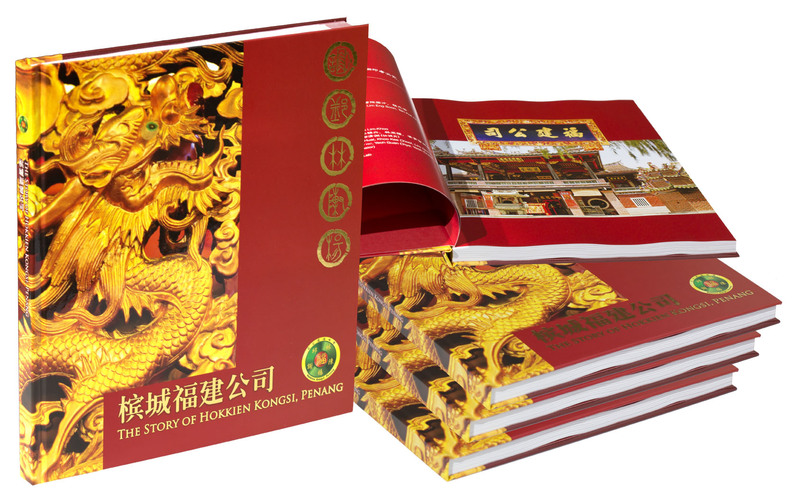 So the Trustees of Hokkien Kongsi, Penang are asking for donations from the public to help in the extensive renovation project of the temple. 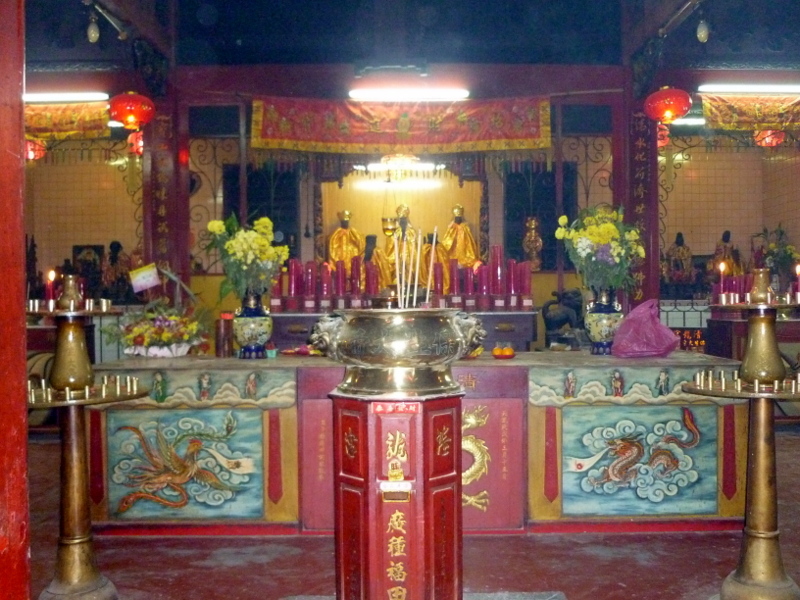 The last renovation was done in 1967. 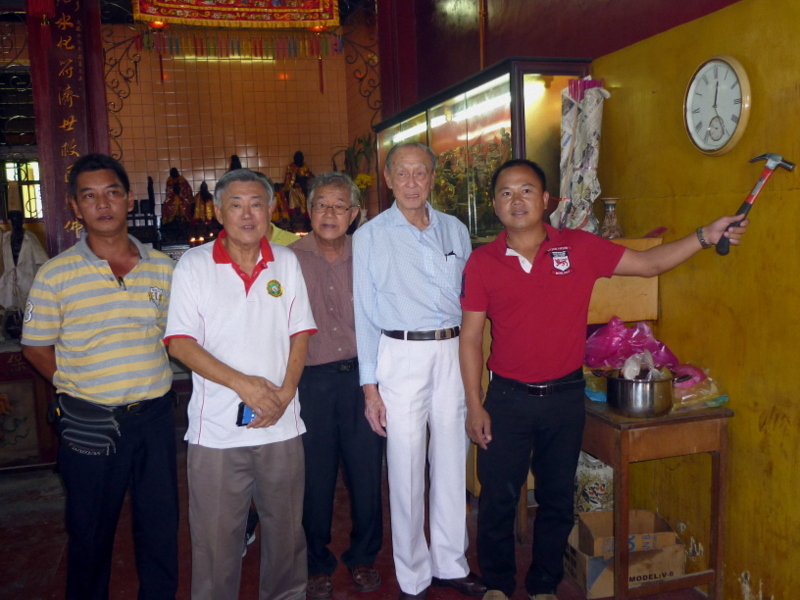 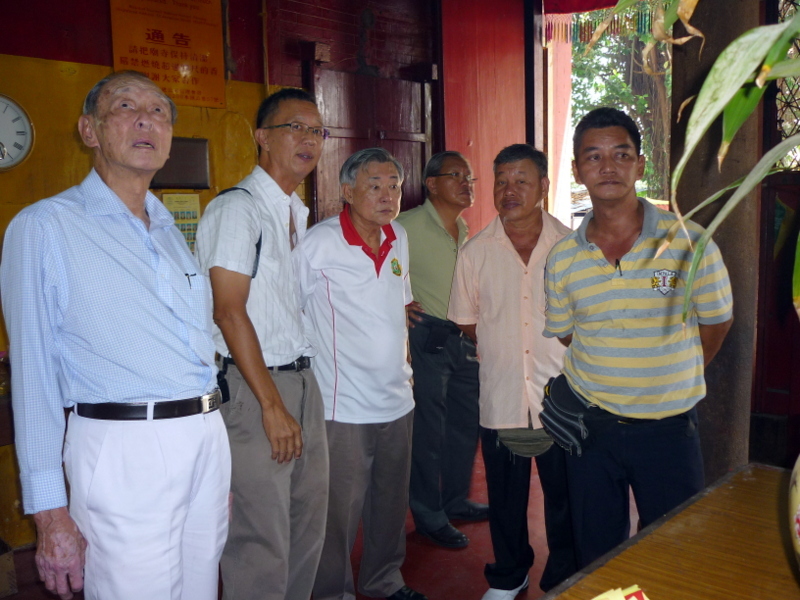 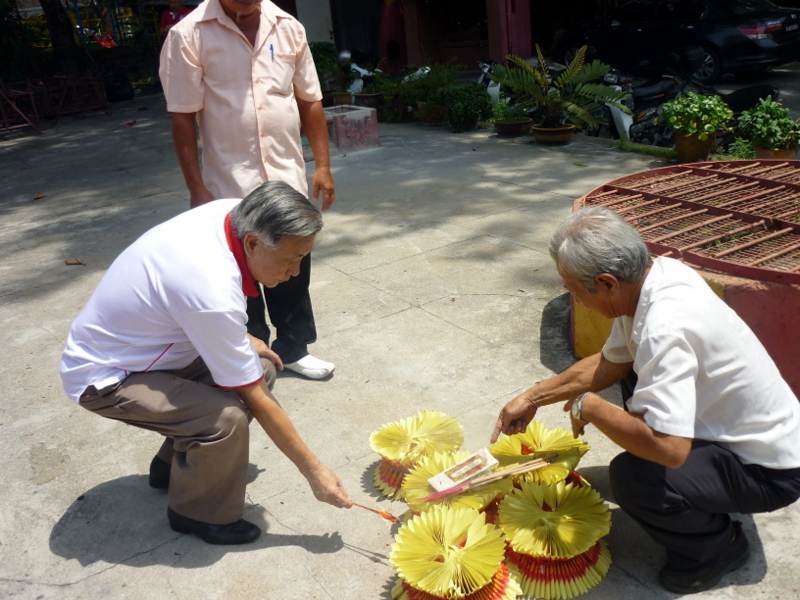 Trustees of Hokkien Kongsi, Penang Cheah Hock Cheok and Khoo Kay Hock with Celebration Committee member Khoo Boo Beng. 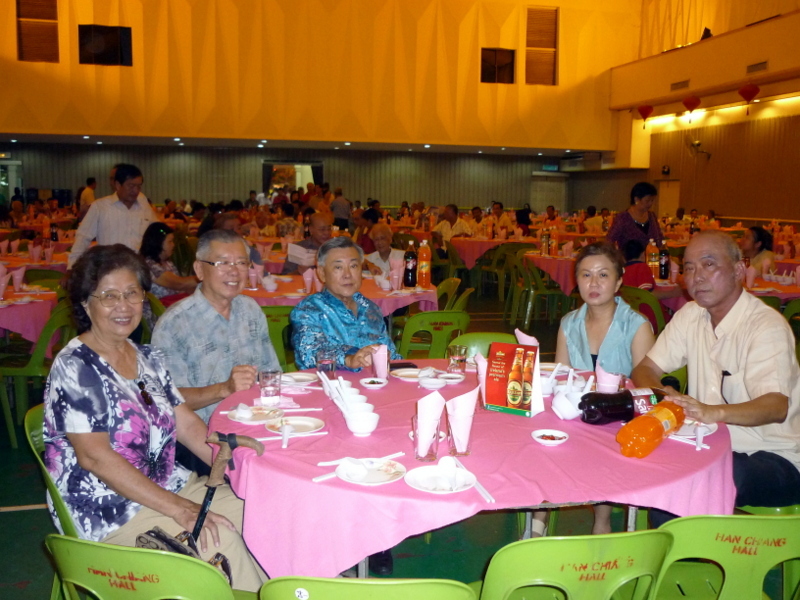 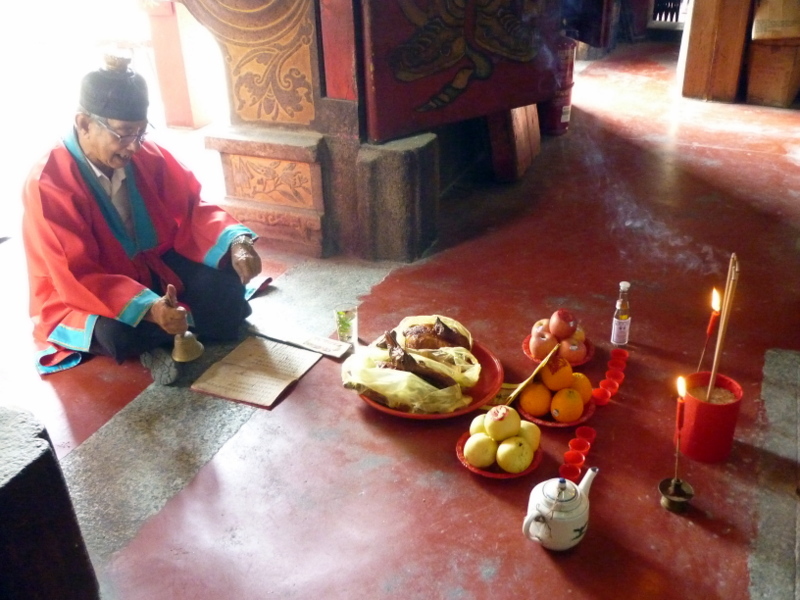 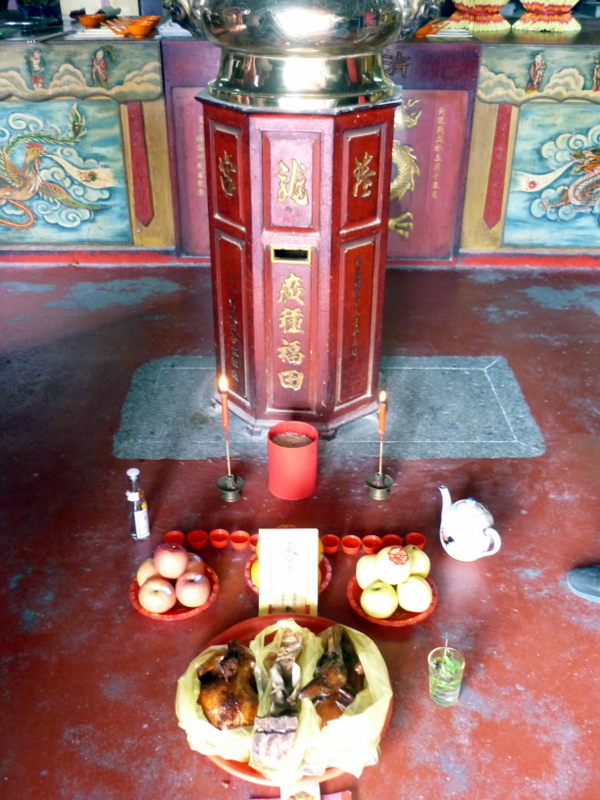 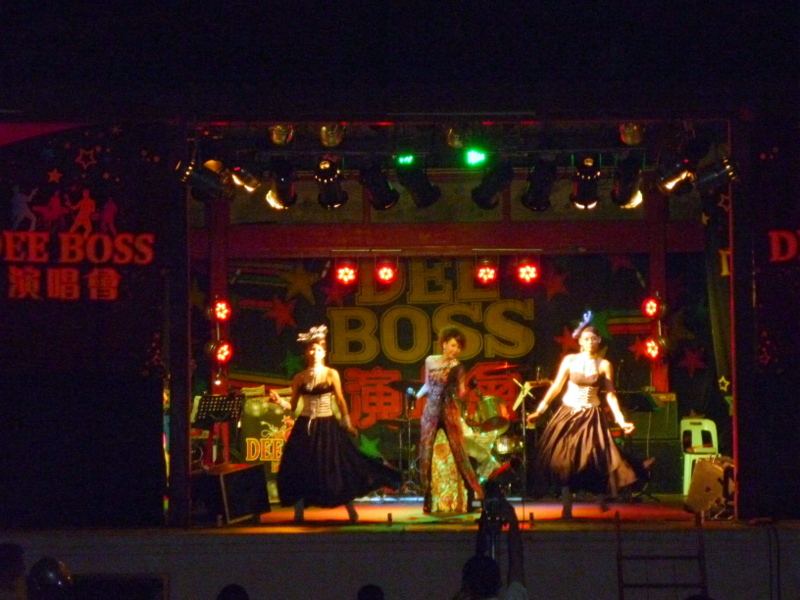 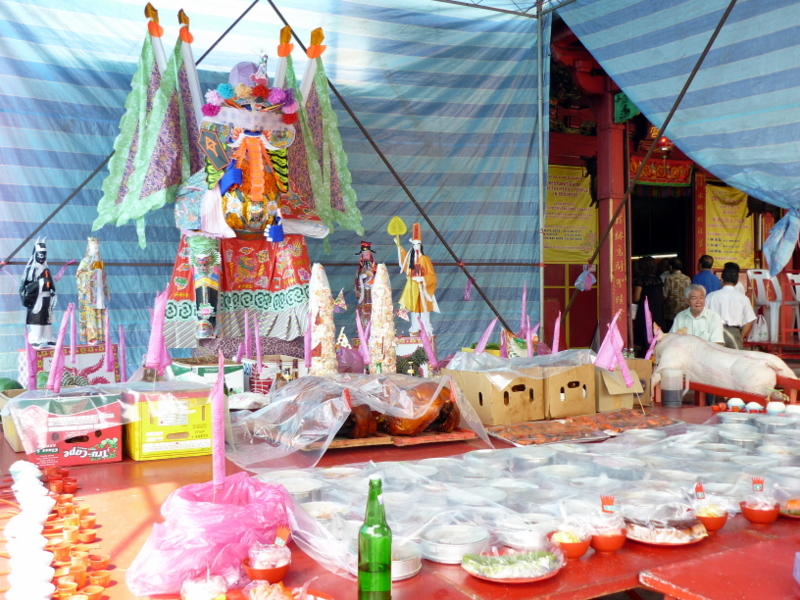 Mrs Tan Joo Chye, Tan Joo Chye, Khoo Kay Hock, Pau Lee and Tan Lye Hock (from Hokkien Kongsi, Penang). 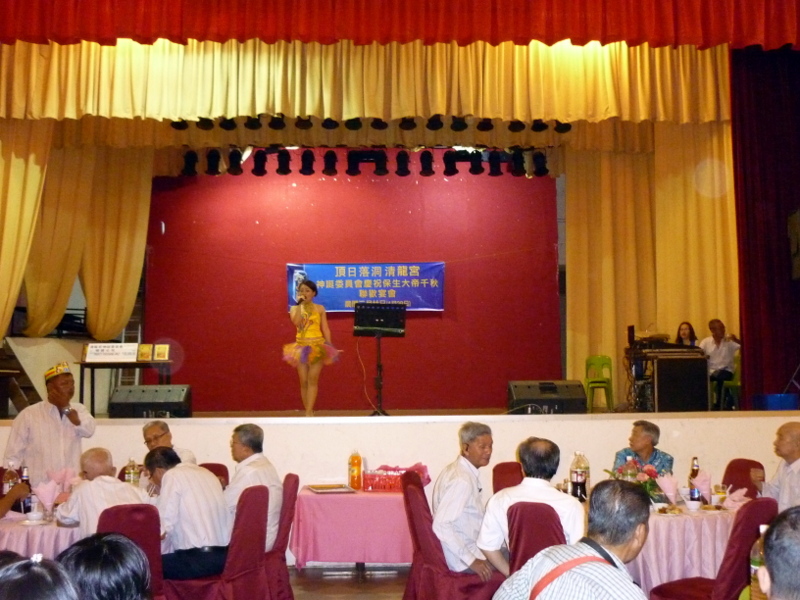 Local singing artiste entertaining dinner guests. 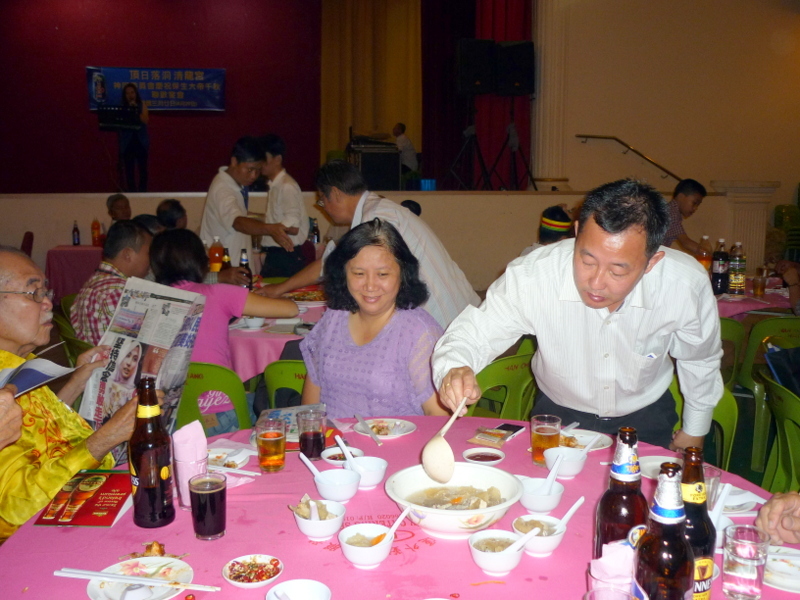 Cheah Hock Cheok serving soup to his fellow dinner guests, Cheah Phee Guan and Mei Ling. 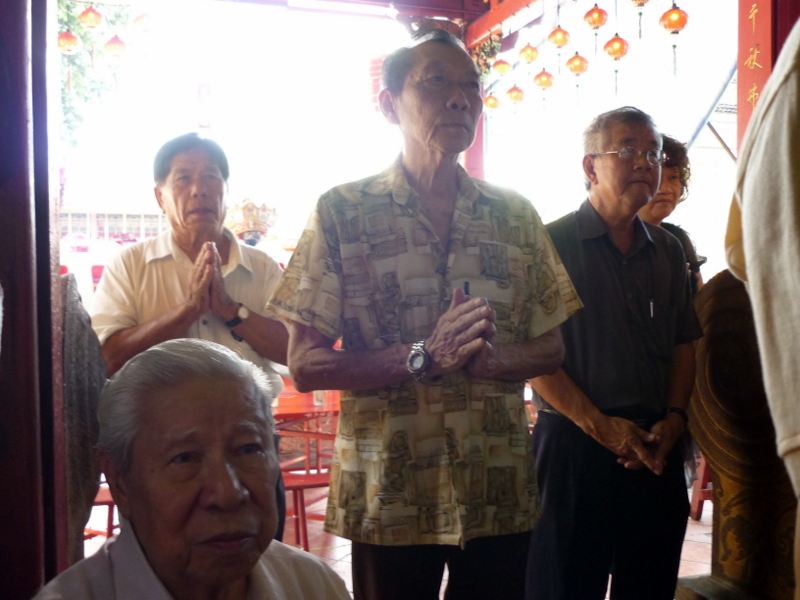 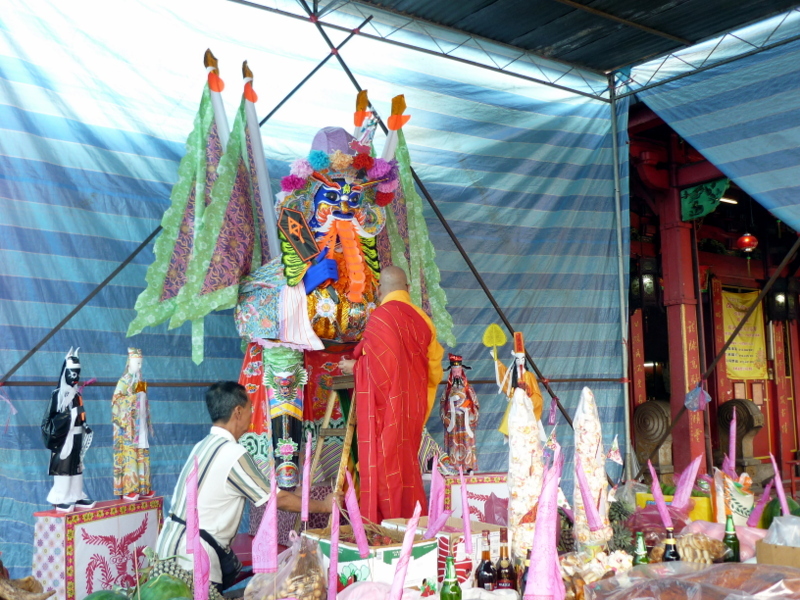 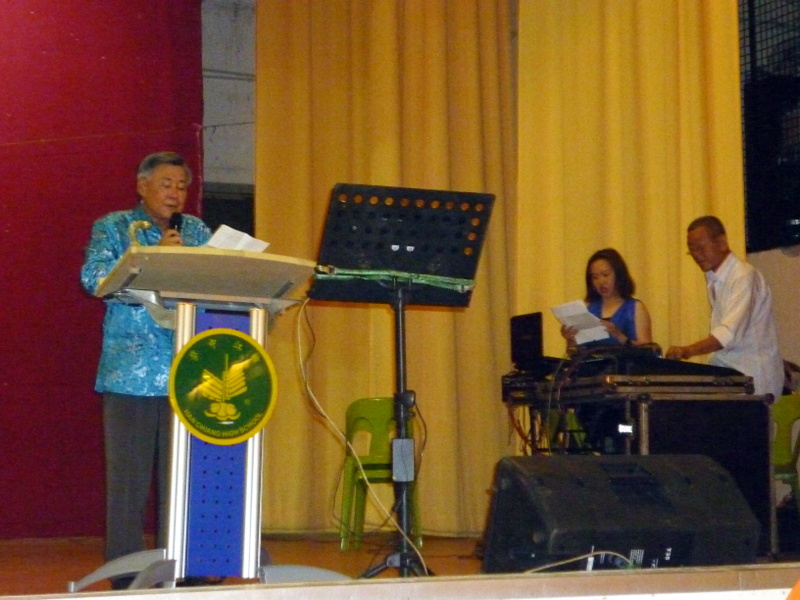 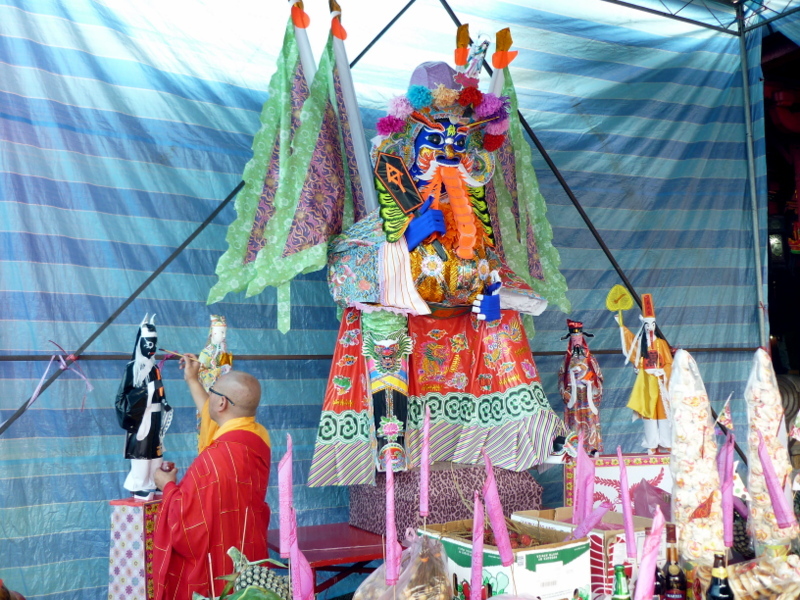 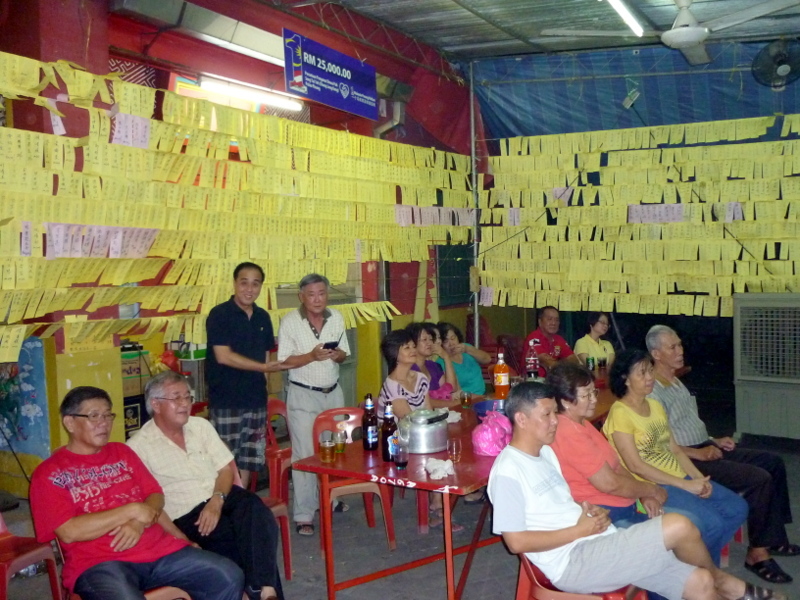 Khoo Kay Hock, Chairman of Hokkien Kongsi, Penang giving a speech. 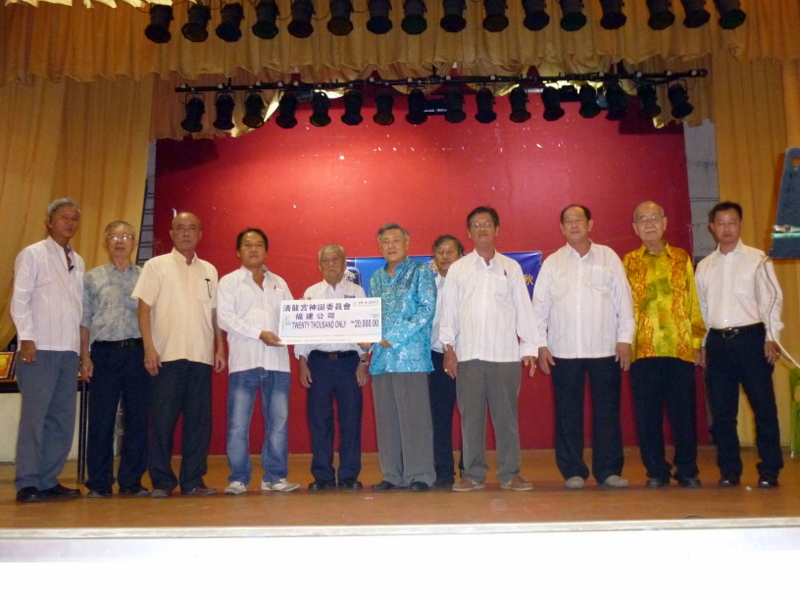 Ch’ng Kim Hock, Chairman of Celebration Committee of Cheng Leong Keong presenting a cheque for Rm20,000/- to Khoo Kay Hock, Chairman of Hokkien Kongsi, Penang. 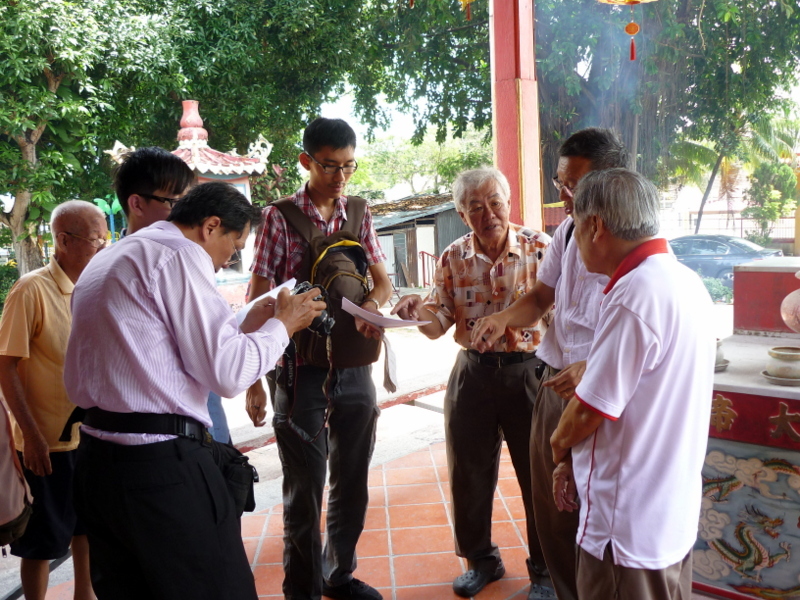 Cheah Phee Guan was given a memento by the Celebration Commitee for his award of Darjah Johan Negeri (D.J.N.) 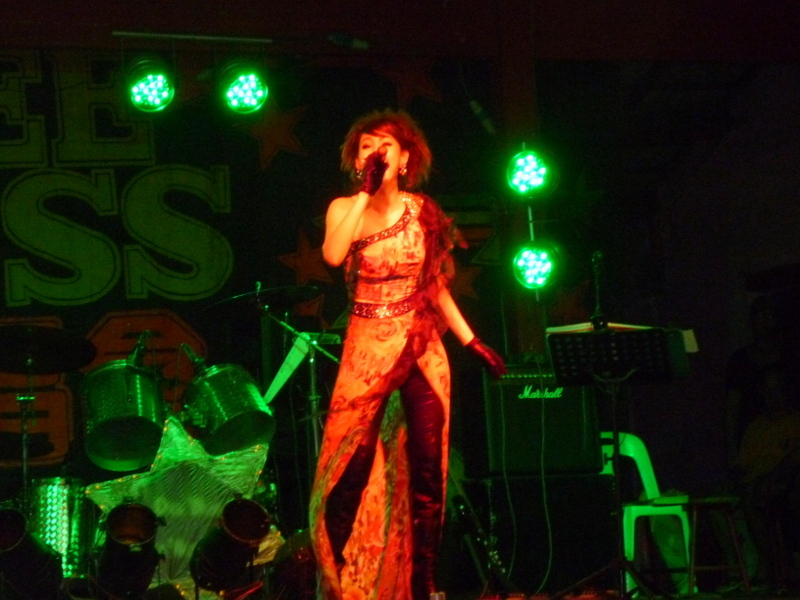 from T.Y.T. 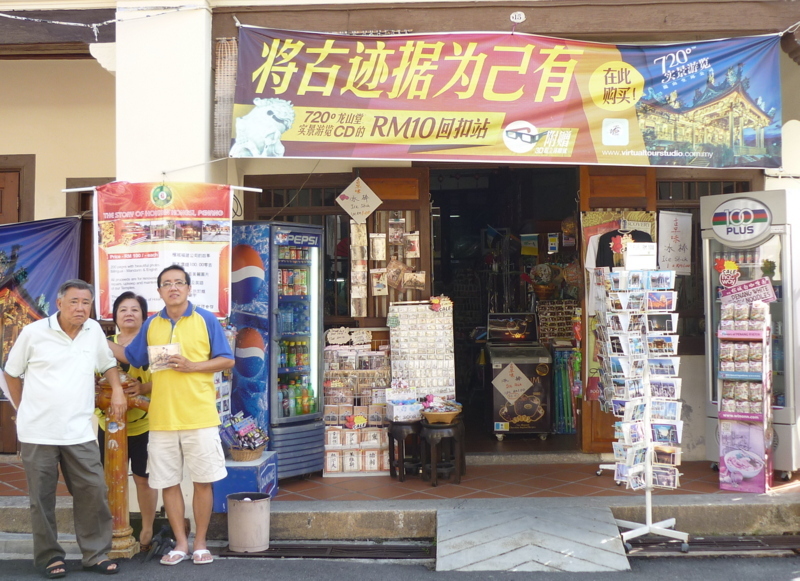 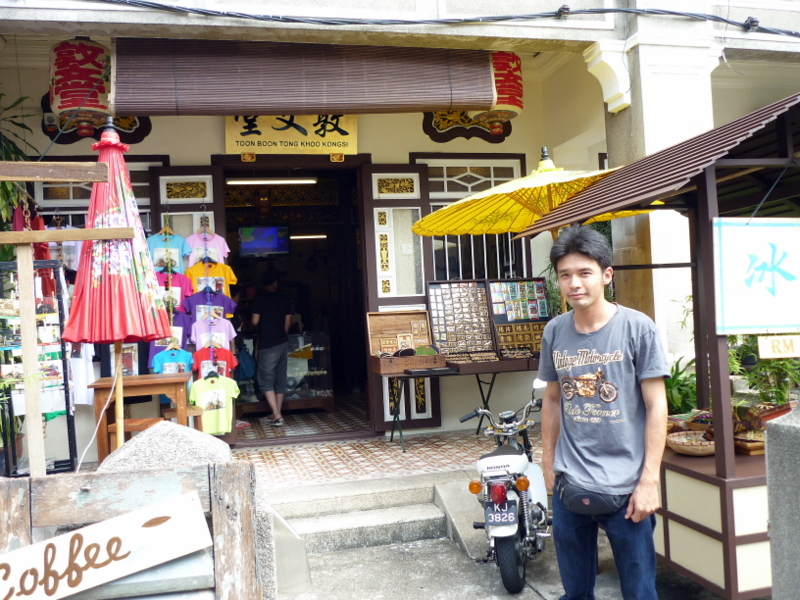 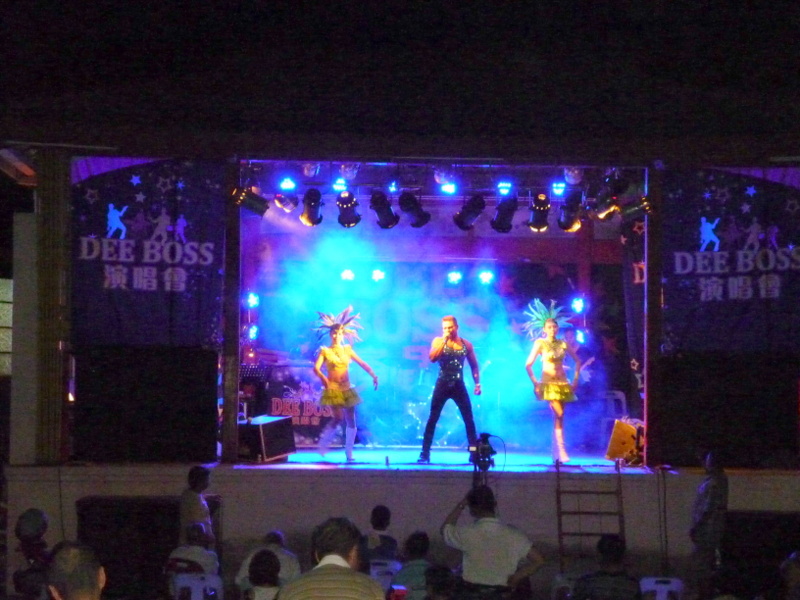 Pulau Pinang in July. 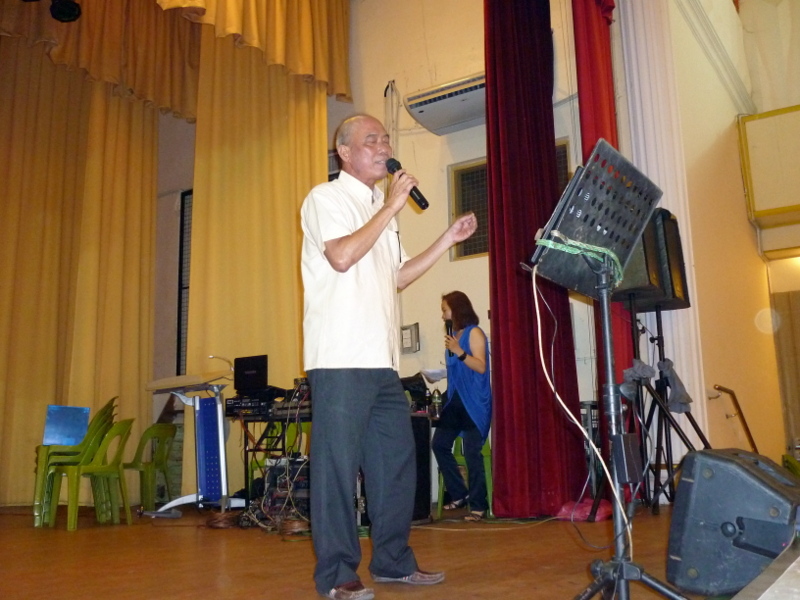 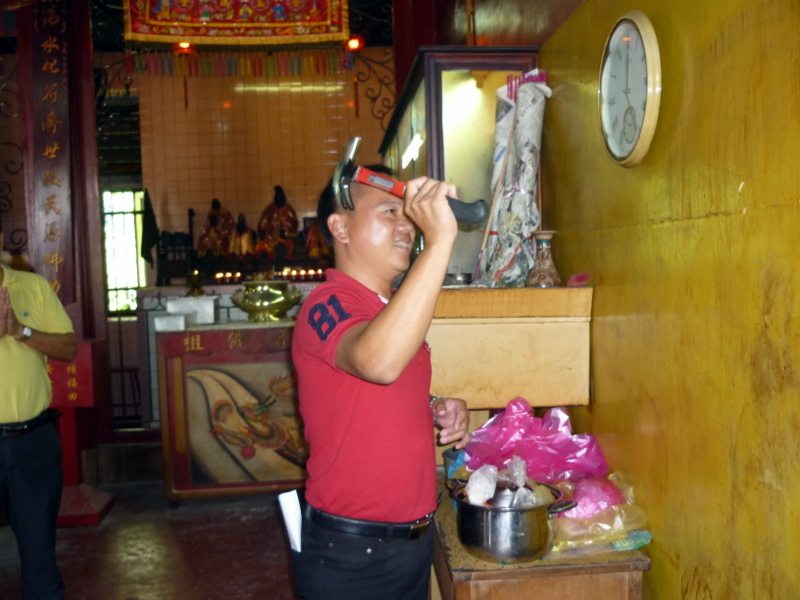 Tan Lye Hock singing for his dinner. 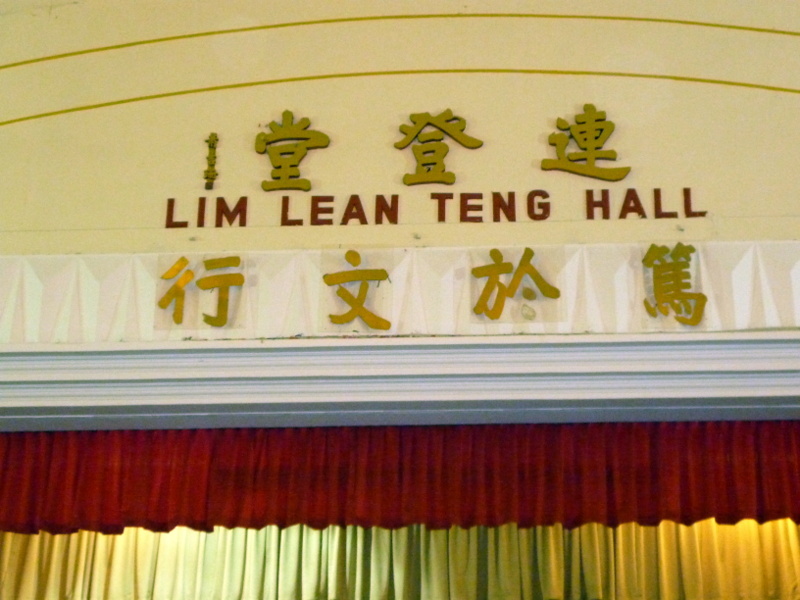 Dinner was held in Lim Lean Teng Hall.